刘式达. 2018. 全球大气运动应遵循的拓扑定理 [J]. 大气科学, 42(3): 634-639. Liu Shida. 2018. Global Atmospheric Motion Should Follow Topological Theorem [J]. Chinese Journal of Atmospheric Sciences (in Chinese), 42(3): 634-639, doi:10.3878/j.issn.1006-9895.1712.17188. Abstract: The isobaric pattern in surface synoptic chart shows contours of space pressure surface. 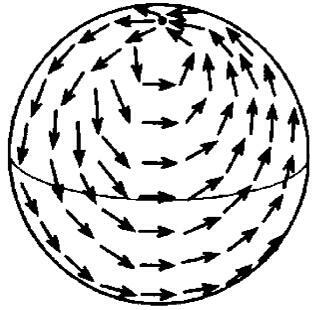 The global pressure surface is a spherical surface with concaves and convexes. 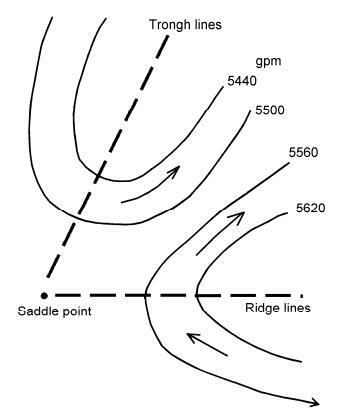 The peaks, valleys and passes in the space pressure surface correspond to high pressure centers, low pressure centers and saddle points in surface synoptic chart. 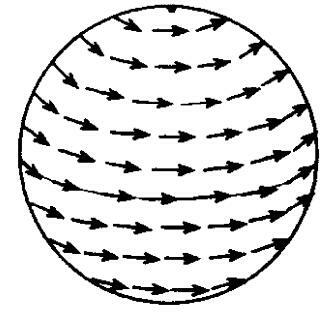 Although the locations of concaves and convexes in the spherical surface change with time, and the corresponding locations of high and low-pressure centers also change with time, the Euler characteristic of the spherical surface is a topology invariant, whose number is 2. 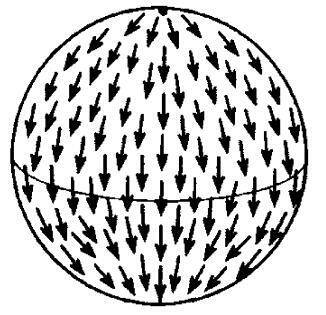 Topologically, the Morse theorem states that if a gradient vector field on the spherical surface synoptic chart has many zeros, then (number of high pressure center) + (number of low pressure center)-(number of saddle point)=2. For any vector field, the extended theorem is called Poincare-Hopf theorem. This theorem is very important for weather prediction. The present paper shows application of this theorem in longitudinal flow, latitudinal flow, Hadley circulation, and three-cell circulation etc. 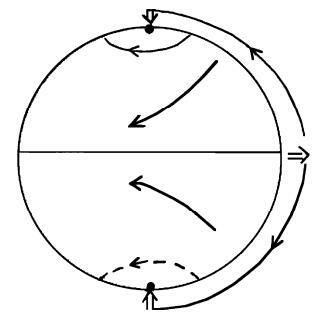 Atmosphere scientists know for sure that global atmosphere motion follows not only the Navier-Stokes equation, but also the topological theorem. Bluestein H B. 1992. Synoptic-Dynamic Meteorology in Midlatitudes:Volume Ⅰ. Principles of Kinematics and Dynamics [M]. New York, Oxford: Oxford University Press: 431pp. Bluestein H B. 1993. Synoptic-Dynamic Meteorology in Midlatitudes. Volume Ⅱ. Observations and Theory of Weather Systems [M]. Oxford: Oxford University Press: 594pp. Djuric D. 1994. Weather Analysis [M]. Prentice-Hall Inc.: 314pp. Flegg H G. 1974. From Geometry to Topology [M]. New York: Crane Russak and Co.: 275pp. Hatcher A. 2002. Algebraic Topology [M]. Cambridge: Cambridge University Press: 345pp. 刘式达, 刘式适, 傅遵涛. 2016. 大气运动的几何和拓扑[M]. 北京: 高等教育出版社. Liu Shida, Liu Shishi, Fu Zuntao. 2016. 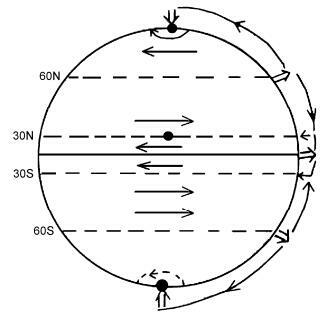 Geometry and Topology of Atmosphere Motions (in Chinese)[M]. Beijing: Higher Education Press. Richeson D S. 2008. Euler's Gem:The Polyhedron Formula and the Birth of Topology [M]. Princeton, NJ: Princeton University Press: 368pp.